For Whom Intended This course is intended for personnel involved in specifying, selecting, purchasing or using valves. Degreed engineers whose primary training is not in this field will benefit, as will technicians, quality assurance inspectors and manufacturing engineers. Course 825 will also benefit managers and supervisors in charge of these functions. Brief Course Description The course introduces valves and valve components, and then discusses flow dynamics as related to valves. The construction of valves and materials is covered, along with valve leakage. This is followed by a general discussion of valve trim, characteristics, actuators and positioners. A more detailed discussion of globe valves and gate valves covers valve variations and component options. Valves in a control system are covered next, including sizing and selection of valves. This is followed with a discussion of check valves and some variations available. Types of safety valves are covered along with selection, sizing and standards. 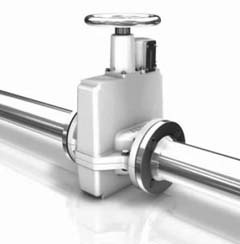 The course then covers in detail different types of valve available with a description and discussion of how each type functions. Next, the instructor covers valves in application and use including the selection of valves, valve bodies, valve trim, valve actuator and valve packing. The final section addresses valve safety and emergency shut off valves. Diploma Programs This course is required for TTi’s Piping, Valves and Pump Specialist (PV&PS) Diploma Program. It may be used as an optional course for any TTi specialist diploma program. Related Courses TTi is developing a complete pipes and valves curriculum, including Course 631, on safety lockout and tagout procedures, Course 651 on Piping and Instrumentation Diagrams (P&ID), Course 652 on piping system layout and design, Course 652 on pipe support design, Course 654 on pipe inspection and maintenance and Course 820 on pump technology. Prerequisites There are no definite prerequisites. This course is aimed toward individuals actively involved in related technical fields.